Promoting the development of new talents in the various fields like music and dance, folk and tribal art forms, under the able guidance of Gurus. To nurture the young talents and to acquire skills in their chosen field of art, the scheme preserves and promote rare and vanishing art forms whether classical or folk/tribal through some financial assistance by the Zonal Cultural Centre (ZCCs) in the form of scholarship under the guidance of Experts and Masters in these field. Also, provide security to a large number of old and retired artists. Great masters in the field of Music and Dance, folk and tribal art forms will be identified in each zonal cultural centres and pupil will be assigned, under the scheme. For encouraging the systematic learning of different art forms, Financial assistance and Scholarship will be given by the government. Rs. 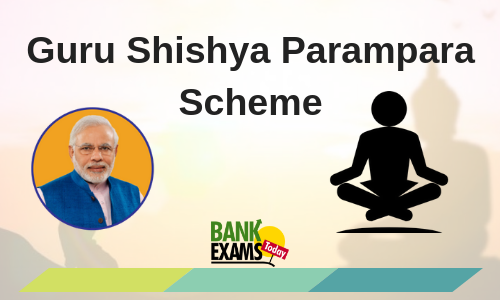 343.61 lakhs fund was allocated/spent under the Guru Shishya Parampara Scheme. For the fulfilment of the scheme, Government of India has set up seven Zonal Cultural Centres (ZCCs) with headquarters at Patiala, Nagpur, Udaipur, Allahabad, Kolkata, Dimapur and Thanjavur and this Zonal Cultural Centre (ZCCs) organize various cultural activities, workshops, exhibitions, craft fairs etc.